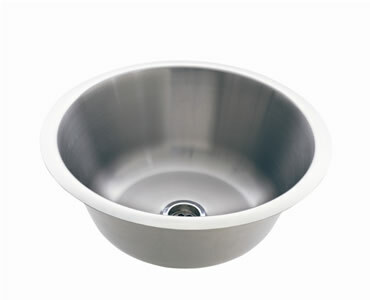 The Circo 6 litre multi-purpose sink offered by Everhard is sure to add a stylish and suave touch to your kitchen. As a versatile top-mount insert sink, it can also be installed in a laundry or a wet bar and will blend in with the interiors of any space perfectly. Furthermore, it can easily be fitted onto a benchtop with installation being a straightforward task. Simply follow the provided product template to create accurate cut outs. 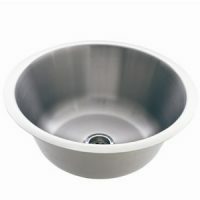 The smallest of the Circo range of sinks, the 6 litre sink measures 300x120mm and includes 40mm chrome plug and waste. 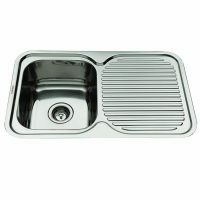 It is manufactured using 304 grade stainless steel and as with other products from Everhard, the Circo 6 litre multi-purpose sink exhibits fine quality and workmanship. If has also been designed to weather years of substantial use. For this reason, Everhard backs this product with a solid 35 year guarantee on the stainless steel bowl and a 1 year guarantee on plugs, wastes and accessories. Give your home a makeover by installing this stylish Everhard round sink. 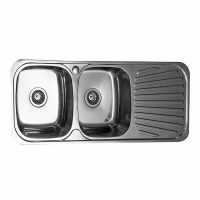 Buy the Circo 6 litre multi-purpose sink from Ross’s Discount Home Centre and know you’re getting a bargain!